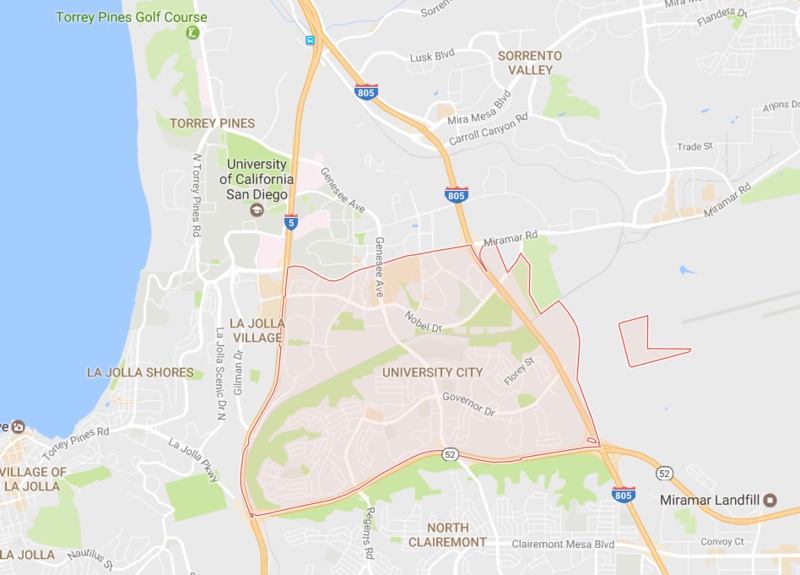 Sometimes referred to as the “Golden Triangle,” University City (UC) is a community in San Diego bordered by La Jolla to the west, the 52 freeway to the south, and the 805 freeway to the east. University City encompasses the University of California San Diego, the Westfield University Town Centre shopping center (UTC), residential neighborhoods, and many high-tech and biotech companies and research institutes. The land in University City is made up of mesas and canyons such as Rose Canyon, San Clemente Canyon, and many finger canyons that provide wildlife habitats and great places for hiking, biking, and lovely views.